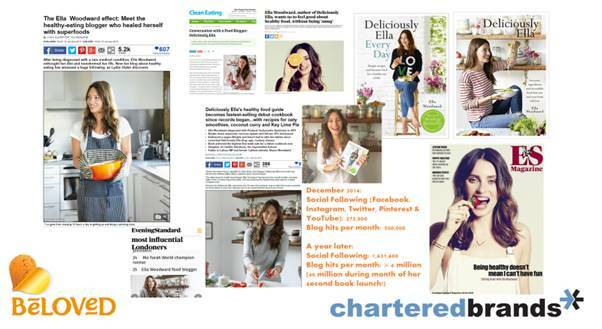 Chartered Brands were incredibly fortunate to secure the UK’s #1 healthy food blogger Deliciously Ella as the brand’s ambassador. Timing couldn’t have been better. Ella launched her first cookery book only weeks before our Beloved launch. It was the highest pre-ordered cookery book EVER on Amazon and all the press were clamouring to speak to Ella. We believe the work she did for us played a huge part in the AMAZING brand awareness scores we achieved within a year of launch. That and the great work of our in-house social media team.